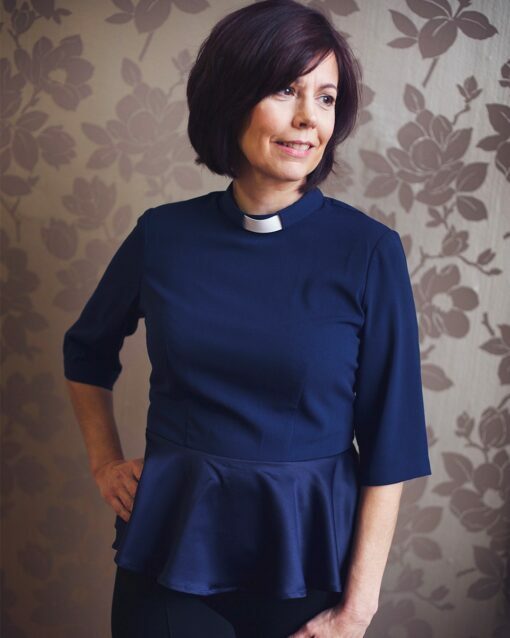 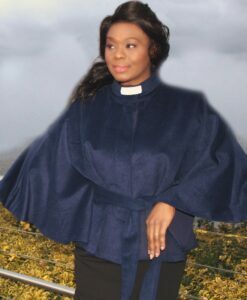 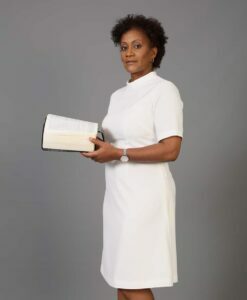 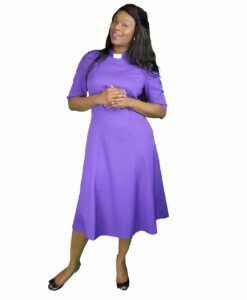 Navy clergy top, three quarter length sleeves with and a peplum hem. 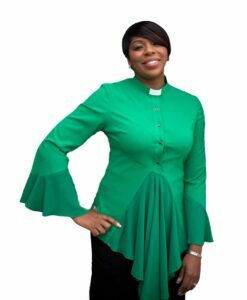 Bringing movement and flow to your ministry. 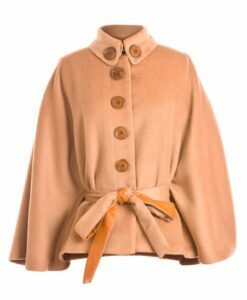 Please note: This style has NOT been adapted with buttonholes for full/Roman Collar. 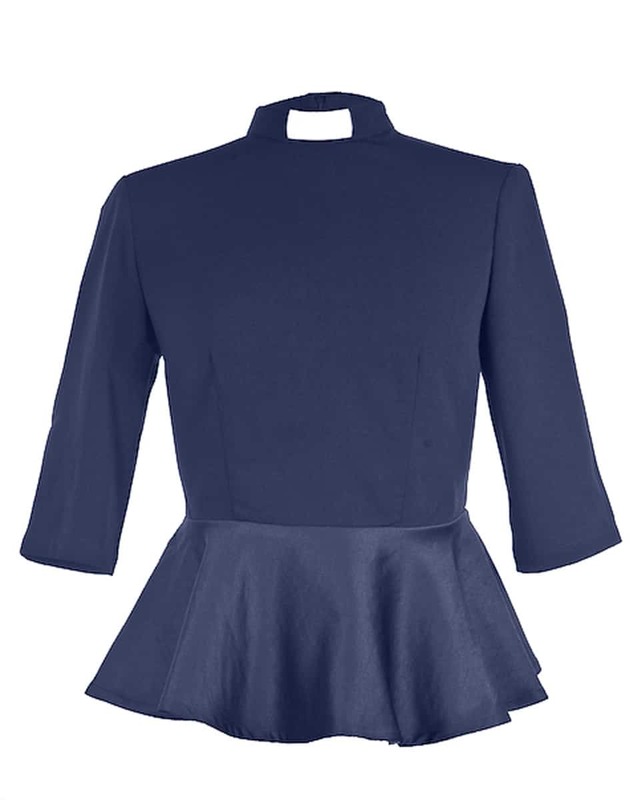 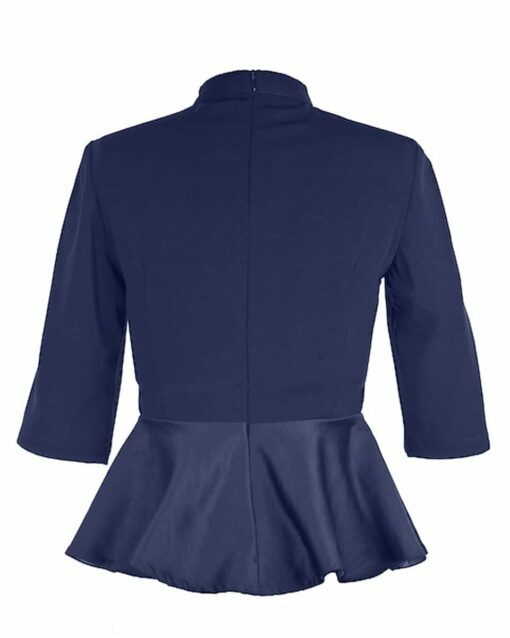 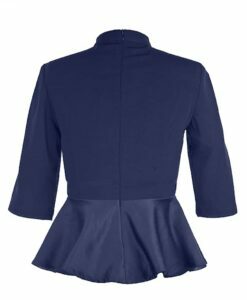 Fabric: Navy crepe with satin peplum. 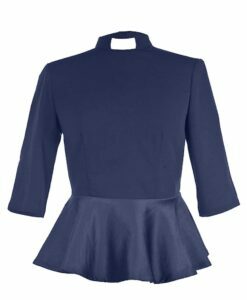 Navy peplum clergy top, three quarter length sleeves with and a peplum hem. 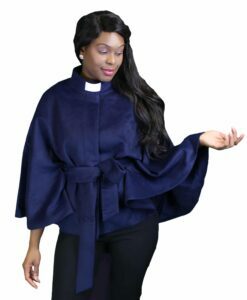 Bringing movement and flow to your ministry. 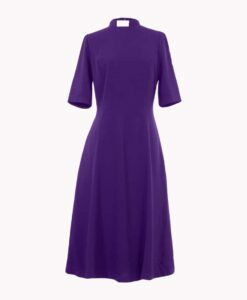 Delivery: UK 1-2 days. 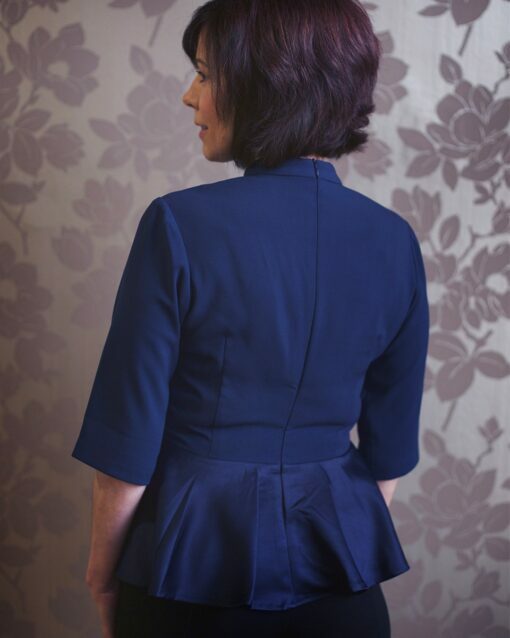 International 5-7 days. 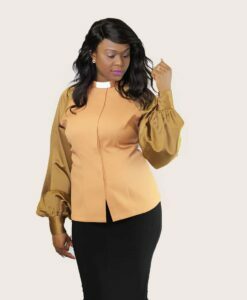 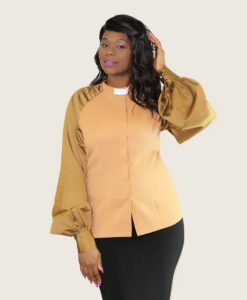 The best things about this top, is that it still looks new after several wash and wear events and it dries quickly, fits well with a touch of flare, and even hides my belly from causing distractions and yet attracts many compliments. 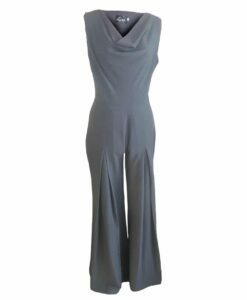 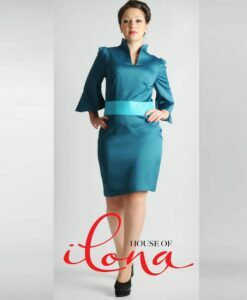 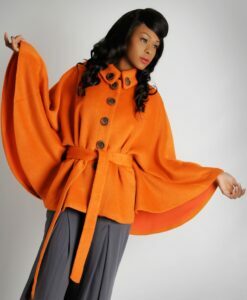 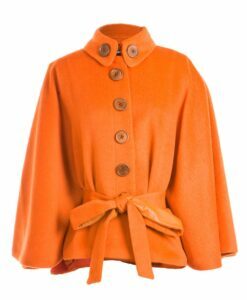 It is smart and sophisticated worn on its own or under a jacket, so it gives me many opportunities to tell and advertise House of Ilona. 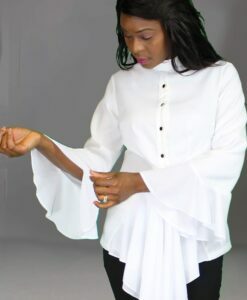 I love this top. 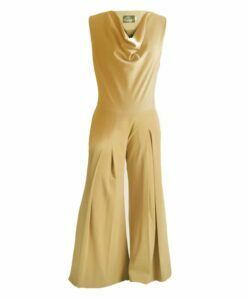 It fits well, looks flattering and coordinates with a lot of clothes that I own. 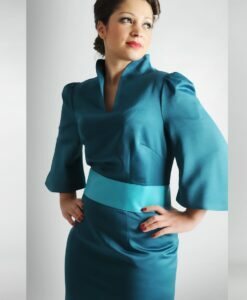 I also get a ton of compliments on it. 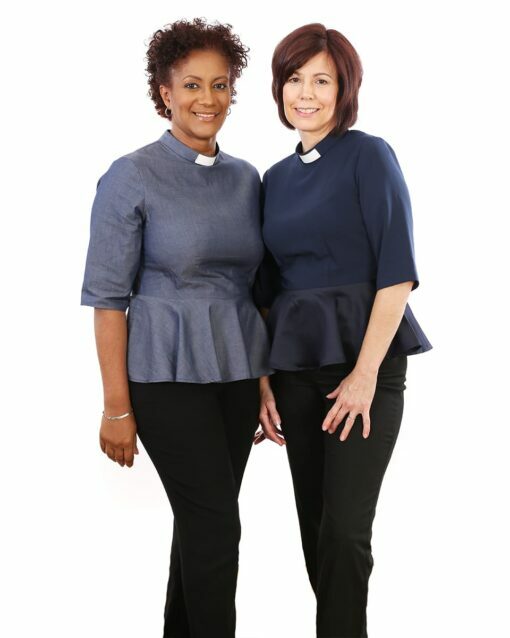 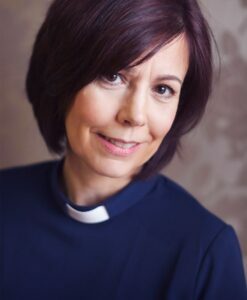 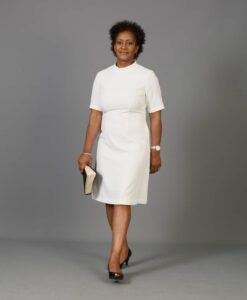 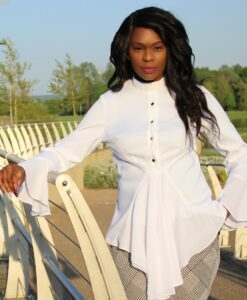 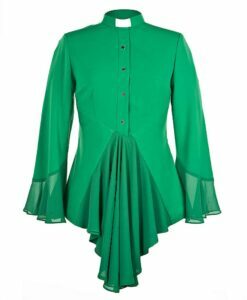 Thank you for creating flattering clergy shirts for women!